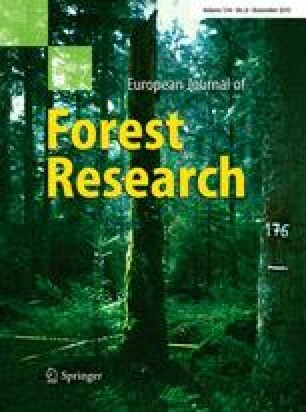 Climate change will affect European beech (Fagus sylvatica L.) ecosystems negatively due to well-known vulnerability of this species to drought. Phenotypic plasticity has been recognized as the primary means in rapid acclimation to adverse environmental conditions. Provenance trials of forest tree species represent a valuable tool for assessing provenance adaptive potential to changing environments. In the present study, we examined the adaptive response capability (plasticity) of certain leaf anatomical traits in different European beech provenances to contrasting environmental conditions prevailing in two provenance trials. While one location of the trials is an isolated, marginal site, the other is a site within the original geographic range of beech forests in Serbia. The study involved 12 provenances originating from Austria, Bosnia and Herzegovina, Croatia, Germany, Hungary, Romania and Serbia. The results of the study evidenced that genetic differences of the provenances are mainly responsible for the differences in leaf traits. Cluster analysis showed absence of association between provenances from the same geographic regions (e.g., Germany and Balkan Peninsula, respectively), revealing phenotypic heterogeneity between them. Steep reaction norms, observed for anatomical traits studied, indicate the possibility of plastic provenance response to changes in environmental conditions. The highest values of plasticity index, observed for stomatal density and thicknesses of palisade and spongy parenchyma, seem to be the result of a regulative function of stomata and mesophyll structure on physiological adaptation to the unfavorable growth conditions at the marginal site. Such sclerophyllous leaf structures, indicating drought resistance, were observed in certain provenances from Central/Eastern Europe and mesic sites, indicating that beech provenances from warmer sites in Southern Europe may not necessarily be the only source of drought-resistant ecotypes. This paper was realized as a part of the project “Biosensing Technologies and Global System for Long-Term Research and Integrated Management of Ecosystems” (43002) financed by the Ministry of Education and Science of the Republic of Serbia within the framework of integrated and interdisciplinary research for the period 2011–2015.